Back to previous page | Home Beat those sugar cravings! Beat those sugar cravings for good! 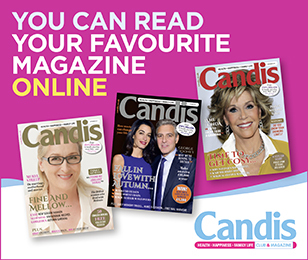 In the October issue of Candis we report on the obesity epidemic that has taken hold across the UK, with almost two thirds of adults now classed as being overweight or obese and with one in three of us at risk of developing Type 2 diabetes. One of the contributing factors to this problem is the massive growth of high sugar processed food to our diets. While we have been advised to go ‘low fat,’ the fat in many products has been replaced by sugar. Current guidelines state a maximum of about 70g of sugar a day for men and 50g for women but many of us are exceeding this – hence the increase in obesity and diabetes. The Scientific Advisory Committee on Nutrition is recommending the daily limit for sugar should be cut, while Public Health England suggests the Government take a range of actions to curb our appetite for sweet and processed foods, including considering a ‘sugar tax’. But how easy is it to cut back on our sugar intake? Six weeks ago, we set Candis features editor and self-confessed sugar addict, Helen Etheridge, a task – could she overcome her cravings and do without the sweet stuff? We enlisted the help of Laura Thomas, founder of Happy Sugar Habits, a programme designed to help take control of your sugar cravings. She agreed to ‘coach’ Helen over a 6-week period – which, she explained, might not be long enough to wean her off sugar completely but could help her take control. Week 1: After completing Laura’s preliminary ‘sugar habits’ questionnaire we had our first Skype session and I have to say I was a bit embarrassed to admit the extent of my addiction: Coffee with sugar every morning, and a sweet treat (or 2) – EVERY day after lunch and dinner, sometimes 3 or 4 Jaffa cakes – sometimes as many as 10 in one go! But Laura didn’t seem phased. She explained it all sounded quite typical (from a sugar addict) and that she saw no real reasons why I couldn’t make good progress through her programme. Embrace coffee in the morning without the sugar! Give some sweet-tasting teas a go e.g. Peppermint & licorice (Teapigs does a good one), Twinings Chai tea (add extra cinnamon on top which helps), Sweet fennel can also be good. Laura also recommended making a note of my motivations on my phone, in my diary or on a post-it and to re-visit them whenever morale was low. Week 2: I did it! With the coffee at least… I just stopped putting the sugar in and made it slightly weaker. Although it tasted slightly bitter to begin with, after about three days, it tasted ok.
After lunch proved harder. I bought some alternatives from a local health food shop – nut butter and coconut flakes – and, while I managed to substitute them for my usual chocolate for the first couple of days, by day three – after a stressful morning with the kids – I caved in to the biscuit tin! And as for dinnertime – no chance! A friend called round one day with some treats (supposed to be for the children!) but come 9 o’clock after putting the kids to bed and clearing up – no one was going to stop me from having that chocolate bar! That said, after reading my motivations on my phone over and over, I did manage a couple of nights on just dark chocolate, so felt that some progress had been made. Week 3: Updated Laura on my progress and was surprised to hear how well she thought I’d done – I’d actually managed to hit most of my goals, and proven to myself that I could go without sugar after every meal! Laura then suggested it might help if I write my motivations on a flash card rather than just my phone and put it somewhere visible, and gave me ideas on how I could distract myself in the evenings, away from the biscuit jar. We also talked about treats as gifts – and about suggesting alternatives to well-meaning friends and family – and also about what to do when on holiday (we were due to go on a family camping trip the following week). * Have one full day with just coconut flakes, nuts or a low-sugar alternative. * Try to use the flashcard every evening and try to just build in other fun/relaxing/thoughtful activities to help distract you from the biscuit jar. * While on holiday, really enjoy and appreciate the treats – like campfire-toasted marshmallows! Savour every mouthful of them and the bonding experience with the family. This is ‘High Value’ sugar and you shouldn’t feel any guilt with it! Week 5: Getting back on track proved harder than I thought! While I managed to go without a sweet treat after lunch for 4 whole days – after dinner was a different story. I just couldn’t do it. With my son teething and waking through the night, and my daughter waking with nightmares I was so exhausted at the end of each day, come 9pm, my energy levels were so low, I just HAD to have something sweet! Laura explained the correlation between sugar and energy – how, when you’re tired, you seek quick forms of energy and so sugar is very appealing which is why you’re likely to experience cravings. She also explained that your mind can get habitually used a sugar boost of energy at a specific time of day if this action has been repeated for a long time e.g. using sugar as an evening pick-up. She stressed the importance of me getting some ‘me time’ – replacing the sweet ‘treat’ with another treat, like going for a walk by the sea, or a hot bath. We also talked about how something like a sweet treat after a meal becomes an ingrained habit, and the steps I could take to break this habit, like becoming aware of the triggers that set off the craving. * See if someone else can put the children to bed one evening, freeing you up for a bit of ‘me’ time. If you can get out for a quick walk during one of these points then great! * Indulge in a lie-in once over the next two weeks! * Continue with the new healthy morning and lunch habits and stick to dark chocolate where you can in the evening (but take the pressure off yourself to ‘quit’ sugar). * Overall, be kind to yourself – this programme is not meant to add to any stress you might be experiencing, it’s meant to support you so that you stay mentally and physically healthy to handle things. Week 6: It wasn’t easy but I did it. One whole day without any sweet treats! It happened after a good night’s sleep – and a lie in! – and by replacing sweet treats with something else. After lunch I had some nut butter on a cracker and after dinner natural yoghurt with coconut flakes. I then had a bath to distract myself and it worked. My evening cup of tea wasn’t quite the same without an accompaniment, but I read my flashcards and went to bed. I haven’t managed to do it since but I really feel like something has shifted in me. The fact that I have done it once means I can do it again. And on speaking to Laura, she agreed, advising me to use the success to build the belief in myself. She said I should simply look to repeat that day whenever I could and from there, increase the frequency – maybe once a month, then twice, then once a week, then two days in a row. She said on these days, I should always note the conditions e.g. the lie in, the day at work, who was around so that I can get to know the environment and things that support this positive behaviour that is driving my health towards where I want it to be. So all in all I’m delighted at the progress I’ve made. Sugar used to play a part in every meal I had in some way, but now I can get through the day with just a little and hopefully very soon, none! Are you planning to give up smoking for National No Smoking Day?